"How to Play the Bass Guitar"
Maybe you’ve been listening to your favorite song, and the thought finally hit you: you want to learn the bass guitar. Maybe learning to play bass guitar is something that you’ve always wanted to do because you've always wanted to be on stage. Perhaps your friend is getting a band together, and they need a bass player and you want to be the one to carry that part. 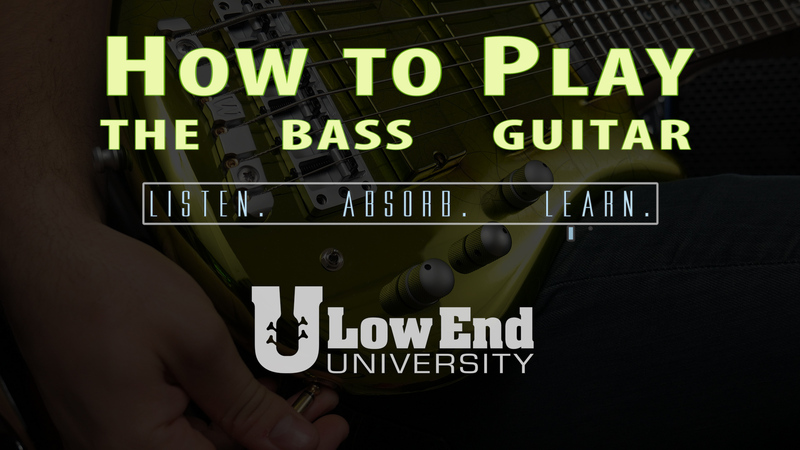 Regardless of the reasons you want to learn the bass guitar, these tips below are certain to help you learn it successfully, have fun rocking out to your favorite songs, and maybe even write your own music sooner than you think. New Tetrafusion album OUT NOW! New album out April 28, 2017! 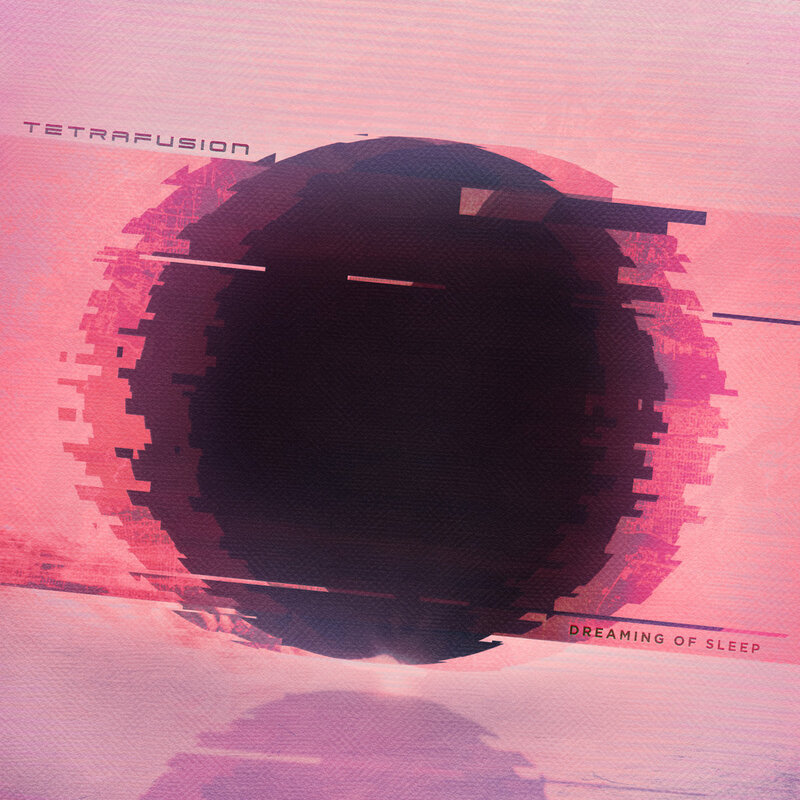 Absolutely over the moon to announce an official release date with cover art for Tetrafusion's upcoming new album - "DREAMING OF SLEEP" will be delivered to your ears on April 28th, 2017! The album will be available exclusively at the Tetrafusion BandCamp Page during release, and other digital outlets later on. I highly, highly, highly, highly recommend that you follow the new @tetrafusion page on Instagram, as that's certainly the most guaranteed way to stay tuned with the release (and, our Facebook page right HERE). 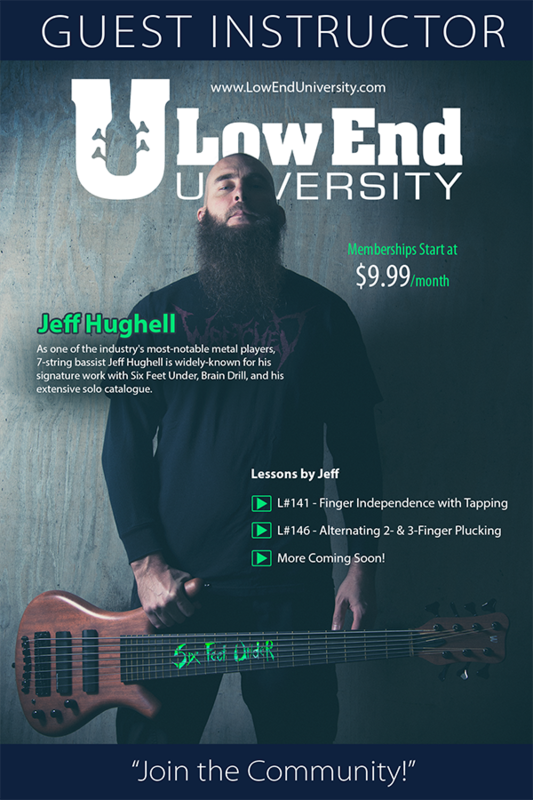 Yet again, I'm extremely excited to announce another guest instructor...please welcome Jeff Hughell, our SECOND instructor to join the faculty! 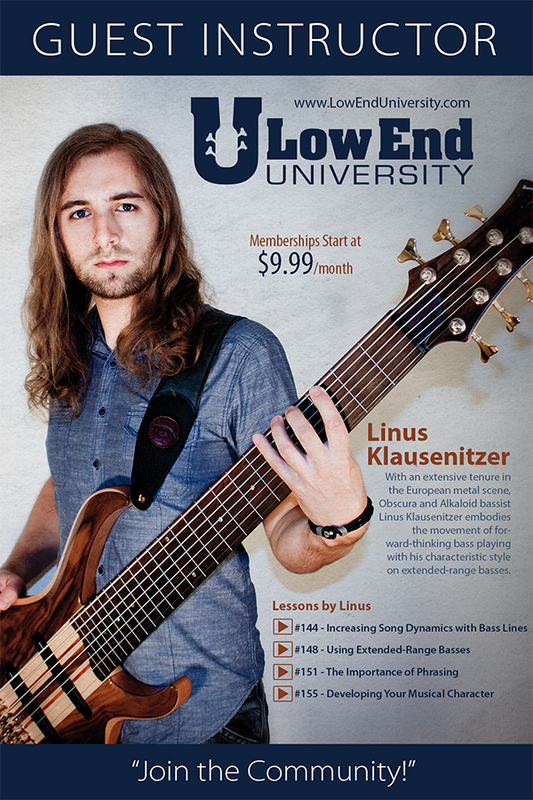 I first got to know Jeff at the Warwick Bass Camps that take place at Warwick HQ over in Markneukirchen, Germany, a few years back, and after doing some guest solos for his solo albums and getting a feel for his amazing style and bass playing, I knew I wanted him to be a part of the Low End University community. Jeff is primarily a 7-string bassist, and currently plays for Six Feed Under in addition to his large body of work with other notable metal acts. His first lesson, "Finger Independence with Tapping", is now LIVE in the library with many more coming over the next few weeks. 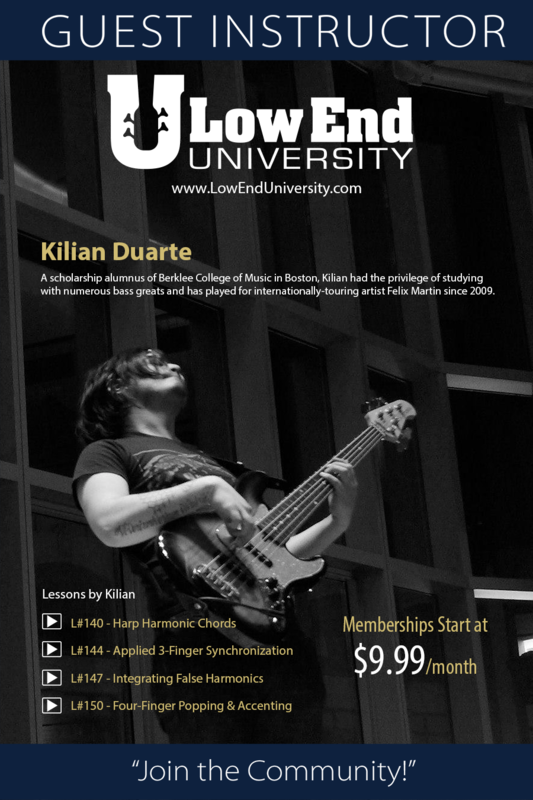 If you aren't a member yet, join the community today and let's kick your bass playing into gear! 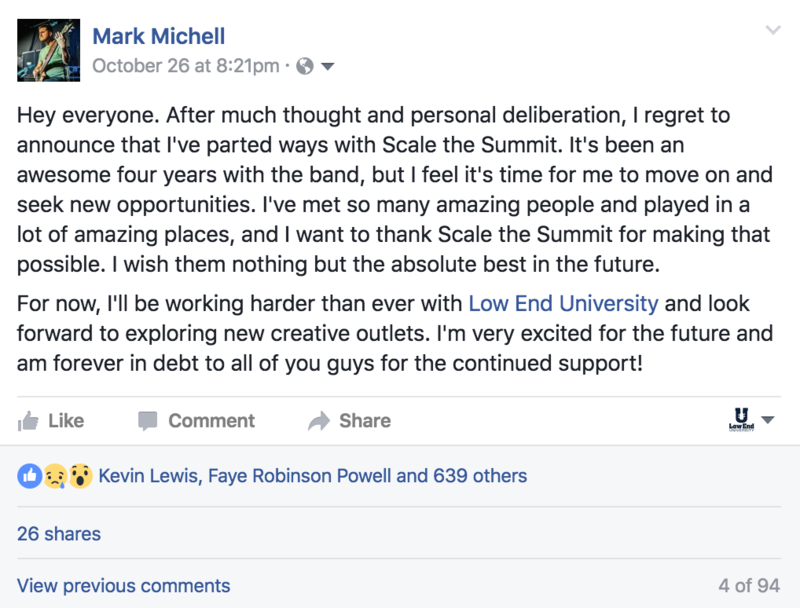 Week of 10/30: No longer in Scale the Summit! However, this means that I'm pouring even more of myself into Low End University as well as moving full steam ahead on the next Tetrafusion full-length, which we're in the process of recording as we speak. This is some of the wackiest stuff I've ever had to play (but also some of the BEST music), and it's giving me a run for my money. I hope to be able to share more news on this ASAP as we complete the album! Our "Member of the Week" is Ivan Coulburn from Preston, England! Check out his band Circle Spectre Haunting!